Who Is Funding Research and Restoration in the Gulf of Mexico After the Deepwater Horizon Oil Spill? This is the fourth in a series of stories over the coming weeks looking at various topics related to the response, the Natural Resource Damage Assessment science, restoration efforts, and the future of the Gulf of Mexico. APRIL 10, 2015 -- When an oil spill takes place, people want to see the coasts, fish, wildlife, and recreational opportunities affected by that spill restored—so they can be as they were before, as quickly as possible. Fortunately, the Oil Pollution Act of 1990 supports this. After most major oil spills, what routinely happens is the government undertakes a Natural Resource Damage Assessment, a rigorous, scientific process of assessing environmental injuries and, with public input, identifying and implementing the appropriate amount of restoration to compensate for the injuries resulting from this spill (all paid for by those responsible for the pollution). What is not routine in the wake of an oil spill is the groundswell of support for even more research and restoration, beyond the scope of the usual damage assessment process, to bolster the resilience of the impacted ecosystem and coastal communities. Yet that is exactly what happened after the Deepwater Horizon well blowout in 2010, which renewed a national interest in the unique environment that is the Gulf of Mexico. In the wake of this disaster, there have been various additional investments, outside of the Natural Resource Damage Assessment process, in more broadly learning about and restoring the Gulf of Mexico. These distinct efforts to fund research and restoration in the Gulf have been sizable, but keeping track of them can be, frankly, a bit confusing. 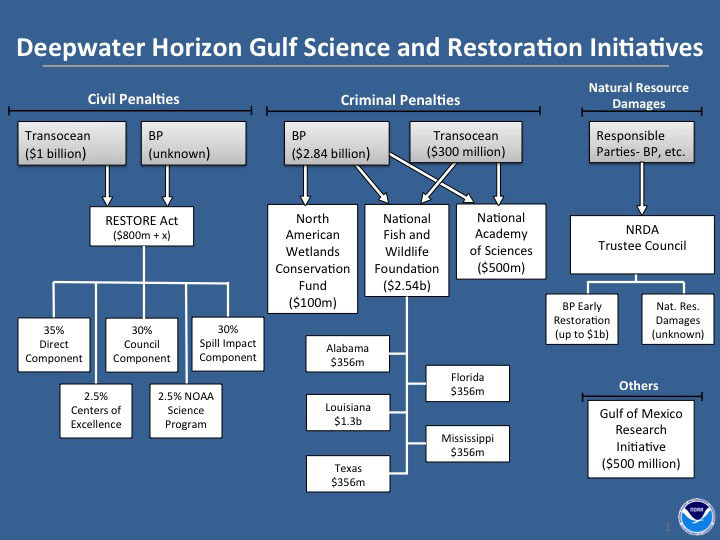 The many organizations involved are working to ensure the Gulf's new infusions of funding for restoration and research are well coordinated. However, keep in mind that each effort is independent of the others in funding mechanism, primary mandate, and process. In one effort, announced while the Macondo well was still gushing oil, BP dedicated up to $500 million dollars to be spent over 10 years "to fund an independent research program designed to study the impact of the oil spill and its associated response on the environment and public health in the Gulf of Mexico." This investment spawned the Gulf of Mexico Research Initiative, or GOMRI, which is governed by an independent, academic research board of 20 science, public health, and research administration experts and independent of BP's influence. Meanwhile, BP faced both potential criminal and civil penalties under the Clean Water Act, which regulates the discharge of pollutants into U.S. waters. When such penalties are pursued by the government for pollution events, such as an oil spill, a portion of the criminal monetary penalties are usually paid to a local environmental foundation or conservation organization to administer the funds. Ultimately, BP agreed to a $4 billion criminal settlement in 2013, with the bulk of that money going to North American Wetlands Conservation Fund, National Fish and Wildlife Foundation, and National Academy of Sciences. That still leaves civil penalties to be determined. Normally, civil penalties under the Clean Water Act are directed to the General Treasury. However, Congress passed legislation calling for 80 percent of the administrative and civil penalties related to the Deepwater Horizon oil spill to be diverted directly to the Gulf of Mexico for ecological and economic restoration. This legislation, known as the RESTORE Act (Resources and Ecosystems Sustainability, Tourist Opportunities, and Revived Economies of the Gulf Coast States Act of 2012), passed on July 6, 2012. While the full extent of BP's civil penalties have yet to be determined, in 2013 the Department of Justice finalized a civil settlement with Transocean in the amount of $1 billion. This settlement results in more than $800 million going to the Gulf of Mexico under the RESTORE Act. As to penalties for BP, the court has currently ruled on two of the three trial phases. Based on those rulings, currently under appeal, the penalty cap for BP is $13.7 billion. A third trial phase for factors that are taken into account in establishing the penalty at or under that cap was concluded in February 2015. The court has yet to rule on the third phase of the trial, and the pending appeals have not yet been heard by the appeals court. Make sure the research we support is closely linked to regional resource management needs. Coordinate with other science initiatives working in the region. Make the results of research available quickly to those who could use them. NOAA and the U.S. Fish and Wildlife Service have designed a science plan for the NOAA RESTORE Act Science Program that outlines how we will make this happen. The science plan describes the research priorities highlighted during our engagement with stakeholders and from reviewing earlier assessments of the science needed to better understand the Gulf of Mexico. These priorities will guide how the program directs its funding over the coming years. The research priorities include improving our understanding of how much and when freshwater, sediment, and nutrients enter the coastal waters of the Gulf of Mexico and what this means for the growth of wetlands and the number of shellfish and fish in the Gulf of Mexico. 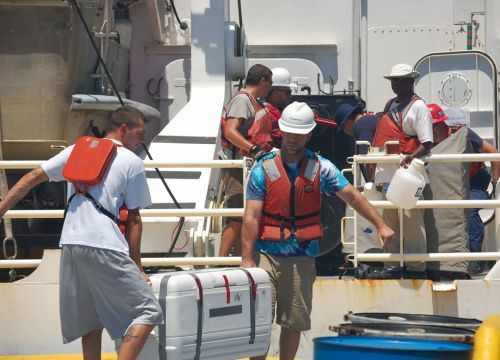 Another priority is developing new techniques and technologies for measuring conditions in the Gulf to help inform resource management decisions. 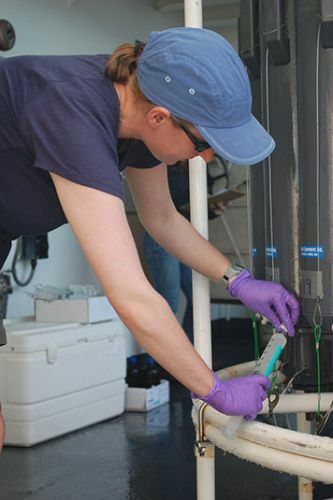 Currently, the NOAA RESTORE Act Science Program is holding its first competition for funding, with over 100 research teams already responding. It will make $2.5 million available for researchers to review and integrate what we already know about the Gulf of Mexico and work with resource managers to develop strategies directing the program toward our ultimate goal of supporting the sustainability of the Gulf and its fisheries. The results of this work also will help inform the direction of other science initiatives and restoration activities in the Gulf region. NOAA and the U.S. Fish and Wildlife Service will announce the winners of this funding competition in the fall of 2015. This is a post by Kate Clark, Acting Chief of Staff with NOAA's Office of Response and Restoration, and Frank Parker, Associate Director for the NOAA RESTORE Act Science Program, with NOAA's National Centers for Coastal Ocean Science.